Construction sites are hazardous places with equipment, tools, building materials and other things strewn around which pose a risk for workers, visitors, and passers-by. Hence, construction site safety signs become imperative to make people aware of the risks and keep them safe at all times. Construction site safety signs are ubiquitous throughout any construction site because it is mandatory for the builder, contractor or site owner to assess the various risks associated with the site and put up signs wherever required. The construction site safety signs come in various colors with a different meaning attached to each and every color. Various categories of signs used in construction sites have been mentioned here. Mandatory signs feature a blue colored circle which has a white image inside it along with instructions that need to be followed. Mandatory signs have instructions such as It is must wear Head protection here, and same for Eye protection, Respiratory protection also have a sign for it and other similar kinds of instructions. Emergency signs are very important construction site safety signs. An emergency sign has a green colored square with a white picture or writing inside it. The white text or symbol indicates the location of an emergency facility and the directions to reach it. For example, signs indicating the direction of emergency exits, fire exits and location of safety equipment. An emergency sign indicating the direction of a first-aid facility features a white cross inside the green square. Emergency signs become critical in case of emergencies such as fire or grievous injuries. The warning sign has a yellow background with black letterings and an image warning people about hazardous conditions existing in that area. Warning signs are usually triangular in shape with black borders. Warning signs can have the messages such as Caution: Wet Floor, Danger: High Voltage, Warning: Nails in the area and other messages. The danger sign warns people of life-threatening conditions existing in an area. A danger sign has a red oval with a black background in which the word DANGER figures prominently in white. 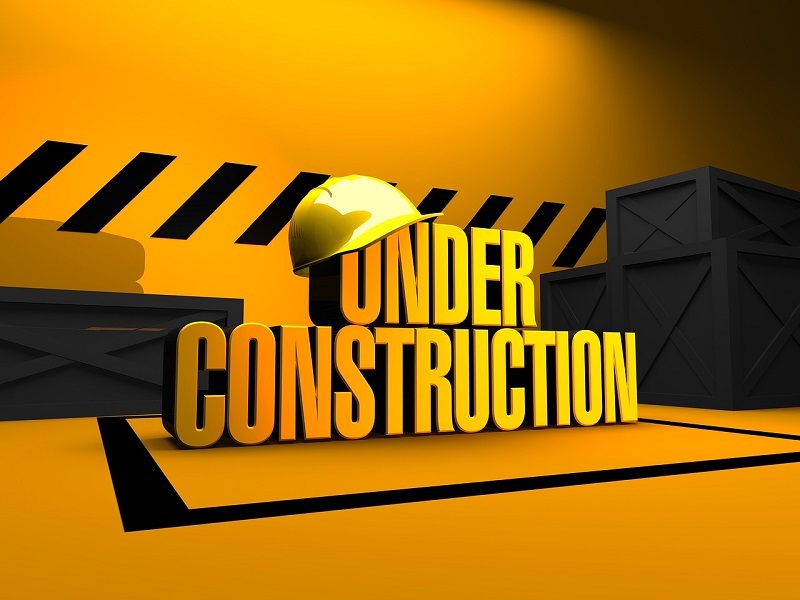 Some examples are Danger: Deep excavation, Danger: Asbestos exposure hazard, Danger: Demolition in progress, Danger: Explosive in use, Danger: Overhead work is in progress, etc. Prohibition signs either prohibit entry into restricted areas to unauthorized personnel or prohibit smoking or drinking alcohol. A prohibition sign features a red circle with a slanting bar across a white background. The letterings are in black. For example, No Entry, Do Not Smoke, etc. A personalized sign has the name and contact number of the contractor or builder. Two contact numbers, one for during work hours and one for after work hours need to be written on the sign. A personalized sign can also indicate the direction of the site office. Such a sign should have the words “Site Office” written in red on a white background. Aluminum is widely used for making long-term construction site safety signs. Aluminum signs have a flat and smooth surface. Polycarbonate is a strong material which is resistant to vandalism, bad weather and UV rays of the sun. Thus, it makes for good construction site safety signs. Subsurface printing of the safety message is done in case of polycarbonate construction site safety signs. Self-adhesive vinyl construction safety signs come in photoluminescent forms. This means that they glow in the dark. A permanent adhesive backing of such signs enables them to be fixed easily on surfaces. Corriboard signs are used for short periods of time. They come in waterproof varieties and are designed for outdoor use.